The Festival of Speed 2016, marks the 23rd year of the event, which celebrates the very best from the past and present of motoring and motor sport. 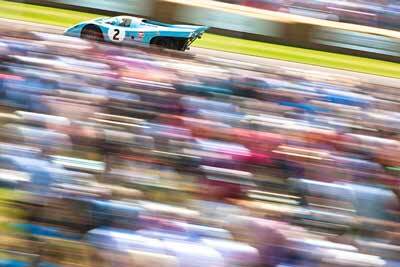 Goodwood Festival of Speed 2016 – What’s on? 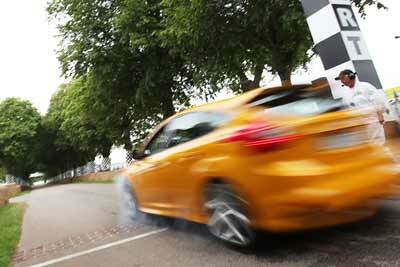 Each year FoS celebrates drivers and their achievements in motorsport history through a particular theme. The theme for the Goodwood Festival of Speed 2016 is ‘Full Throttle – The Endless Pursuit of Power’. The theme celebrates the most powerful competition cars and motorcycles from the history of motor sport and the heroic drivers and riders who tamed them. Lord March said: “Full Throttle – The Endless Pursuit of Power… enables us to gather together some of the most spectacular machines from his history of motor sport, many of which will never have been in this country before. From turbocharged Formula 1 cars and ‘unrideable’ grand prix bikes of the 1980s to Can-Am specials of a generation earlier, and even dragsters and Land Speed Record cars”. Alongside this in 2016 the Festival of Speed will celebrate the 100th running of one of the greatest motorsport events in history, the Indianapolis 500. There will also be cars marking the 50th anniversary of the inaugural Can-Am Series for ultra-powerful sports prototypes and also a celebration of the 40th anniversary of James Hunt’s Formula 1 World Championship win with McLaren in 1976. As has become FoS tradition, the Goodwood Festival of Speed 2016 event opens with the Moving Motor Show on Thursday, 23 June. The Moving Motor Show is where many of the world’s largest motor manufacturers showcase their latest models, alongside famous classic heritage models and exciting and innovative concept cars. Then from Friday 24th June to Sunday 26th, the famous Goodwood hill will be taken over by a glittering collection of the greatest cars, bikes, drivers and riders from the history of motor sport. Over 600 cars and motorcycles spanning the history of motoring and motor sport take part, with legendary figures from motorsport’s past and present as well as international celebrities, all regularly attending. Highlights of the 2015 Goodwood Festival of Speed included British Time Attack Champion, Olly Clark, claiming the fastest time up the hill in his Subaru Impreza ‘Gobstopper II’ with a time of 44.91 seconds. Mercedes F1 driver Nico Rosberg, celebrated his 30th birthday weekend by blasting up the Hill in his 2013 race-winning Mercedes F1 W04. In the annual Cartier ‘Style et Luxe’ concours d’elegance a judging panel that included Ferrari design chief Flavio Manzoni, TV presenter, Jodie Kidd, and Queen drummer, Roger Taylor, chose the stunning Talbot-Lago T150 C SS as overall winner. 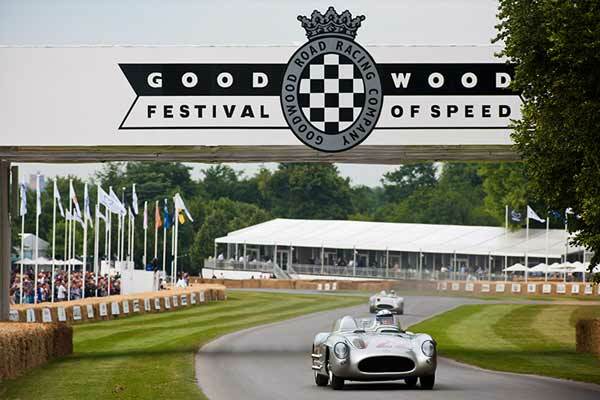 Goodwood Festival of Speed 2016 tickets going on general sale on 5th November 2015 (don’t leave it too long to book, this is one of the most popular UK motoring events of the year and often sells out).